Solid Green has developed an innovative web app, Solid XA, built specifically to take the hassle out of completing and submitting your SANS10400 XA Rational Assessments. Get an instant quote on your assessment and create and manage your projects for free easily through your web browser. Find out more. Deemed-to-satisfy: This path to compliance is met by showing that various building features meet minimum requirements. These include glazing dimensions, insulation thickness and wall types. 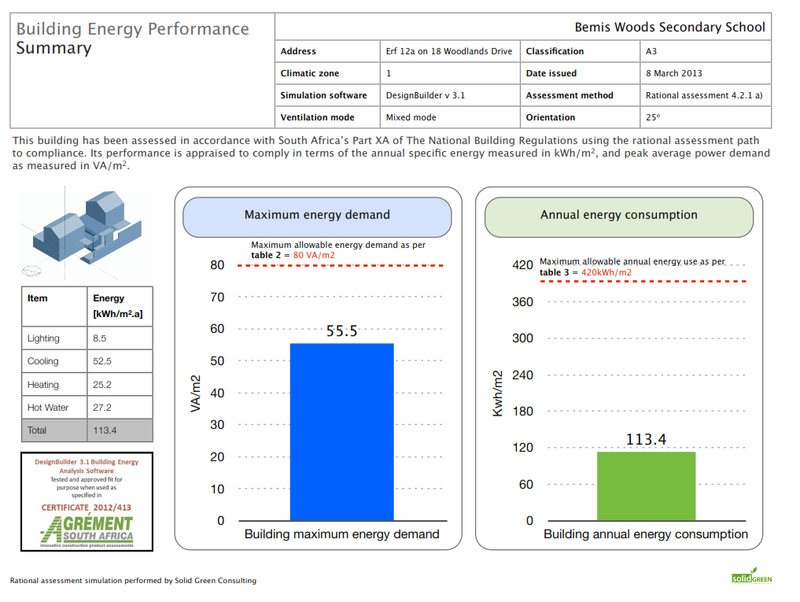 Rational assessment: This path to compliance allows the use of simulation software to show that a building, irrespective of glazing size and insulation thickness, uses less energy than either a value provided by the XA standard, or a reference building that complies with the deemed-to-satisfy requirements. Give us a call or drop us a line if you would like to discuss the rational assessment path to compliance for your project.